From HA last night. Tangential to my normal railroad or other bonds, but I thought it was fun. I saw a Chicago Yellow Cab stock certificate sell for a pretty hefty price, so for what I paid, I thought it was a good deal. The Yellow Cab Company was a taxicab company in Chicago which was founded in 1907 by John D. Hertz. In 1920 the Yellow Cab Manufacturing Company was formed to manufacture taxicabs. During the 1910s and 1920s the company was involved in considerable illegal activity relating to mobstersand in particular to the Chicago Outfit. Yellow Cab was involved in a bitter rivalry with Checker Taxi at the time which led to a number of shootings, deaths and firebombings. By 1925 the company was a subsidiary of the 'Chicago Yellow Cab Company', a public holding companywith shares equally divided amongst Hertz, Parmelee and a small group of other investors. Hertz sold the Yellow Cab Manufacturing Company to General Motors in 1925. He sold his remaining interest in the Yellow Cab Company in 1929. Yellow Cab Co. (of Chicago) was bought by Morris Markin, who had established Checker Cab Manufacturing Company, with the Checker Taxi, a driver's cooperative. 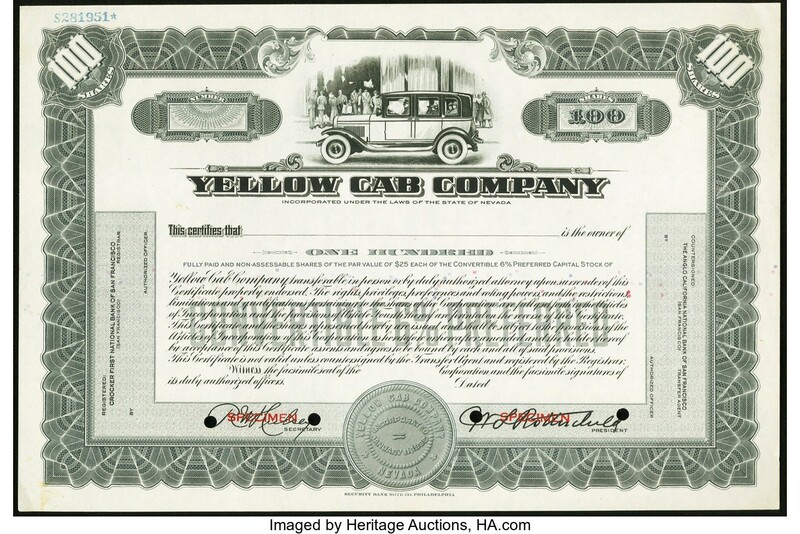 In 1929 he sold his remaining share of Yellow Cab to concentrate on car rental (later Hertz Rent-a-Car which incidentally still uses a yellow logo). The sale was prompted by the violence associated with the business that culminated in 1928 in his racing stables being destroyed in a $200,000 fire in which 11 thoroughbred horses were burned. Just noticed this. I really like that specimen! Looks kind of like an extended Model A.